Gold ruby ring pictured with a pave set diamond band. 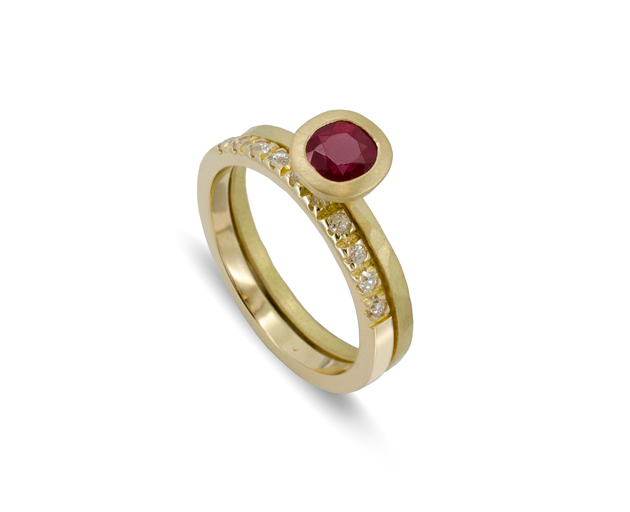 A 4mm cushion shaped ruby from a FairTrade ruby mine in Tanzania and recycled gold. 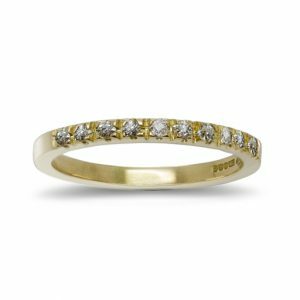 Design the ring that suits you. Order here or call for an appointment with our designer.